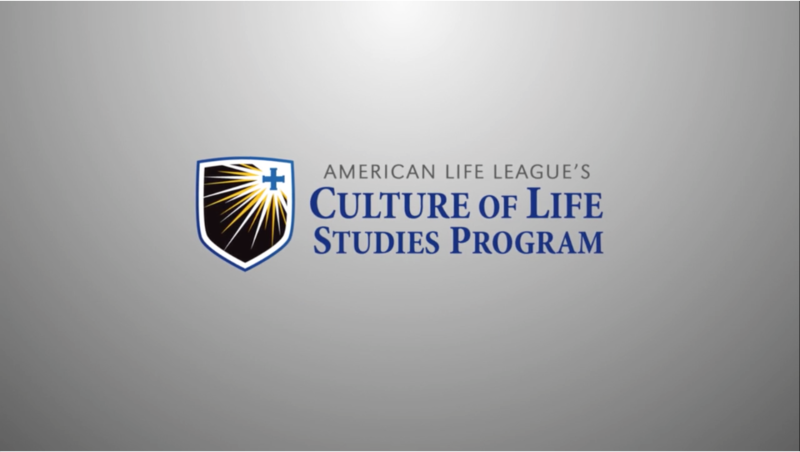 The Culture of Life Studies Program combats the culture of death by providing educational supplements and multimedia resources that build a firm foundation in the culture of life for the next generation. With our culture waging open war against marriage, the family, preborn children, and the disabled, there has never been a greater need for an educational program that teaches students the truth about the value of all human beings, the sacredness of the sacrament of marriage, and the necessity of the family as the building block of society. The Culture of Life Studies Program strives to build a culture of life by helping students to understand the value of every human being and by inspiring a new generation of young people who will defend preborn children, respect all human beings from creation to death, and speak the truth with confidence in defense of the innocent. Unlike other pro-life educational initiatives that focus on adult education, CLSP targets children and teenagers to instill in them the values of the gospel of life at an early age. CLSP educational supplements support a traditional high school or grade school curriculum by guiding students through the same subjects from a pro-life perspective. Our supplements are versatile enough to complement any already existing curriculum in private schools, homeschools, Religious Education programs, or youth ministry. CLSP consists of five series: Life Primer, Life Foundations, Life Quest, Life Lens, and Life Scope. Beginning their studies in Life Primer, students learn how God creates each human being to be unique, valuable, and deserving of respect regardless of age, race, size, background, or ability. In middle school, students continue their studies of the basic principles of the gospel of life in the series Life Foundations by examining age-appropriate pro-life topics in literature, history, science, and religion. When students reach high school, more emphasis is placed on evangelization and communication through critical thinking and hands-on activities in Life Quest, Life Lens, and Life Scope. Where Life Quest and Life Lens study a specific text, moment in history, or Church document in great detail through a written supplement, Life Scope presents information through multimedia outlets and challenges students to use media tools to proclaim the gospel of life.